REDHOT: AKSHAY'S ANOTHER HINDI FILM ON 2.0 RELEASE DAY? Rajinikanth and Akshay starrer 2.0's grand audio launch recently happened in Dubai a couple of days back, and the event had created a good buzz worldwide with its unique promotions. The movie which was earlier planned to release for Diwali 2017 was later announced as Jan 26th' 2018 release. The big budget 2.0 need a solo release all over the world especially in India, to have a wider opening to encash the advantage in every part of the nation. This means no competition from biggies from Tamil, Telugu, and Hindi is a must scenario. Today much to the surprise, Akshay's Hindi film 'Padman' directed by Balki has announced its release on Jan 26th' 2018. Akshay has himself tweeted "Not all superheroes come with capes! Bringing you the true story of a real superhero, #Padman this Republic Day - 26th January 2018!" Does this mean the 2.0 will be postponed again for a better release window? 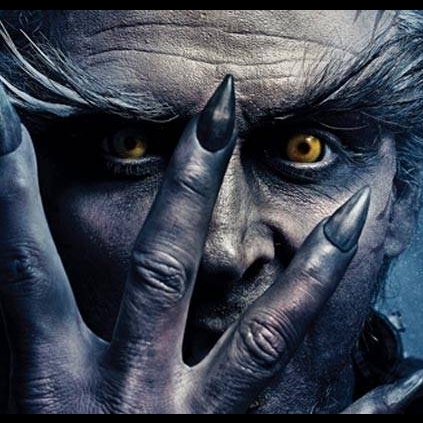 Here is a big announcement about 2 Point 0 villain Akshay Kumar's next film. He would be teaming up director Anurag Singh for a historical film Kesari based on the battle of Saragarhi. Karan Johar's Dharma Productions will be funding this venture which is planned for a Holi 2019 release. 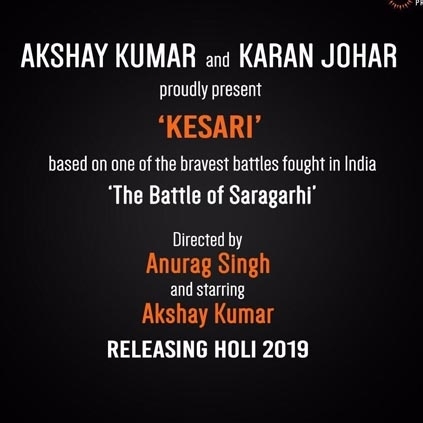 Akshay took to his Twitter space to make this announcement, "A film I'm extremely excited about personally and emotionally... #Kesari releasing Holi 2019." People looking for online information on 2.0, Akshay Kumar, Padman, Rajinikanth will find this news story useful.